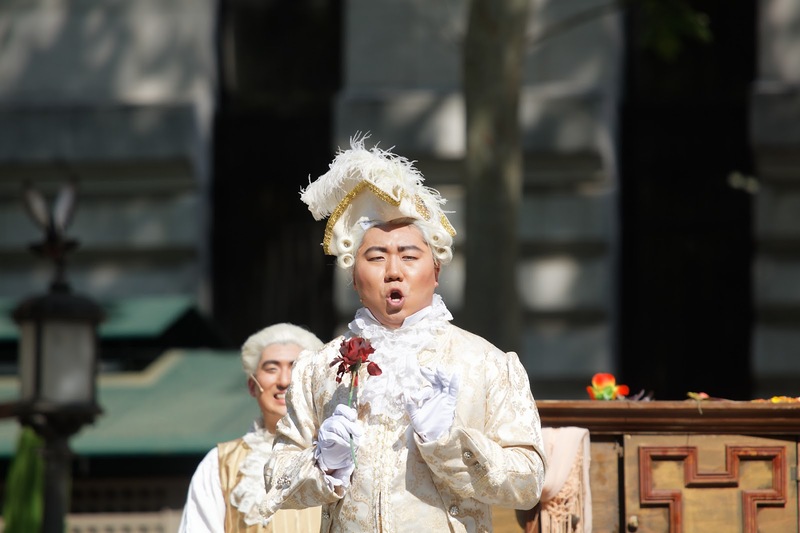 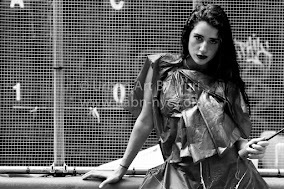 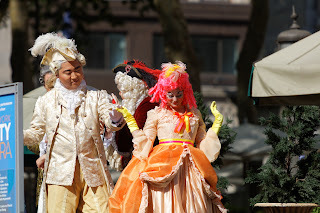 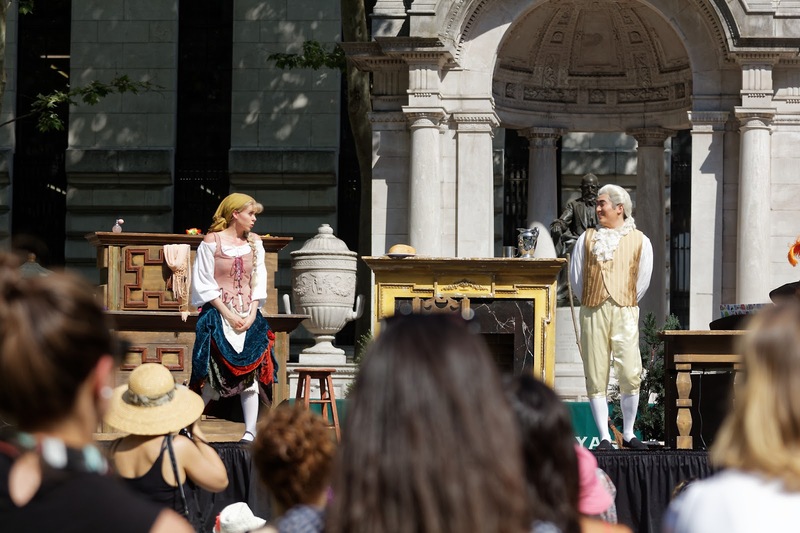 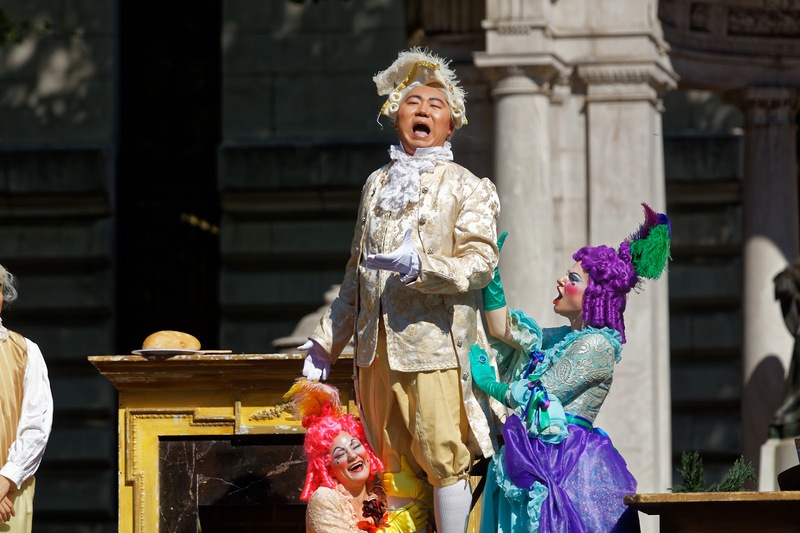 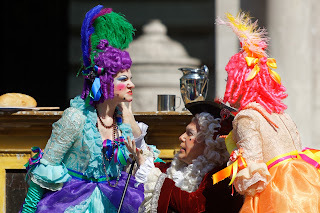 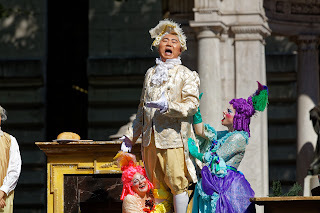 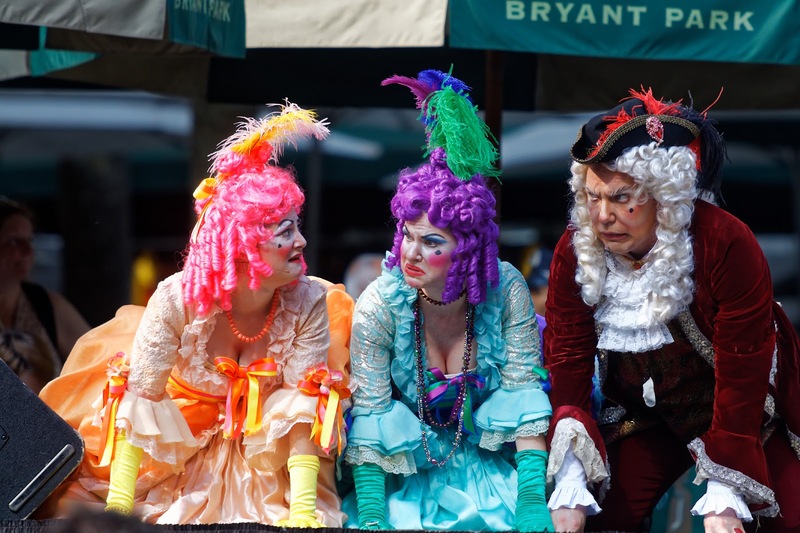 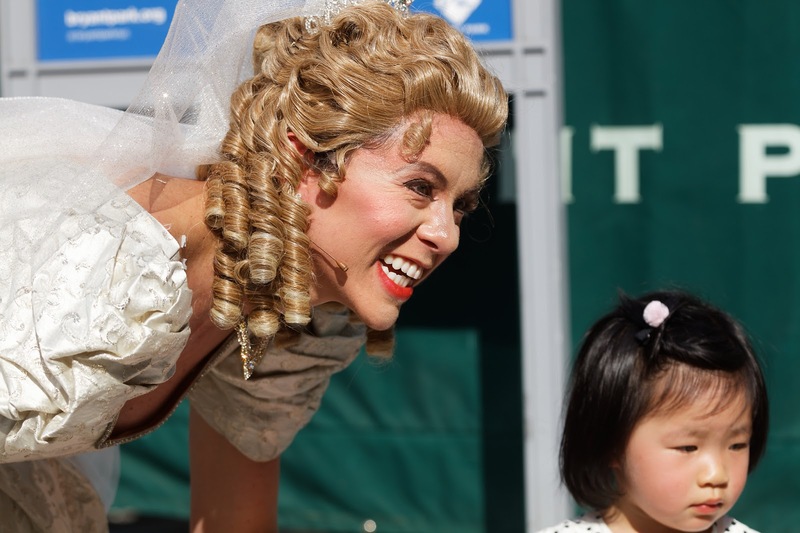 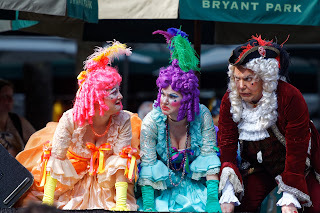 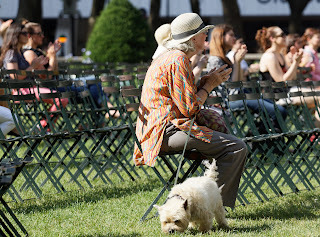 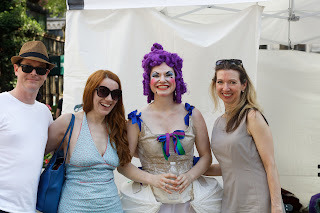 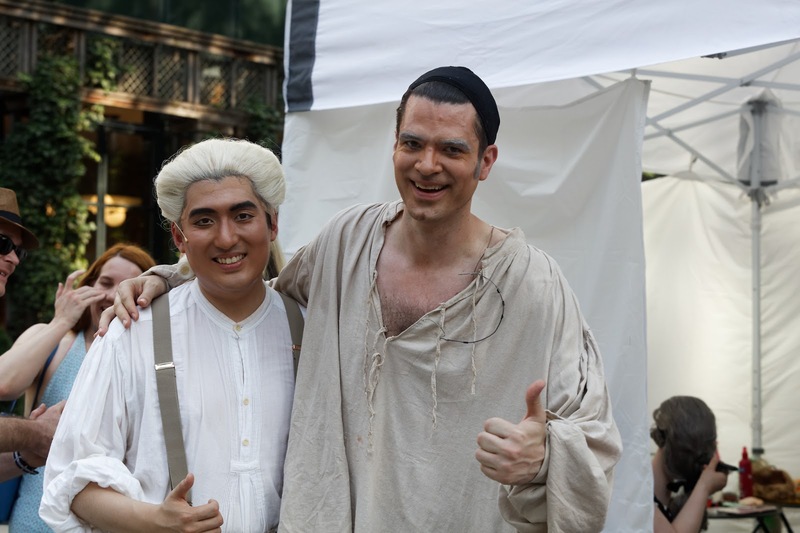 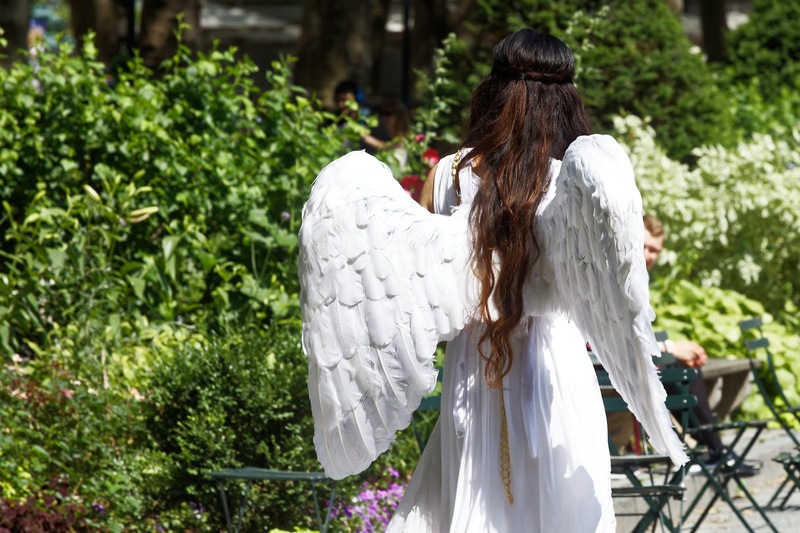 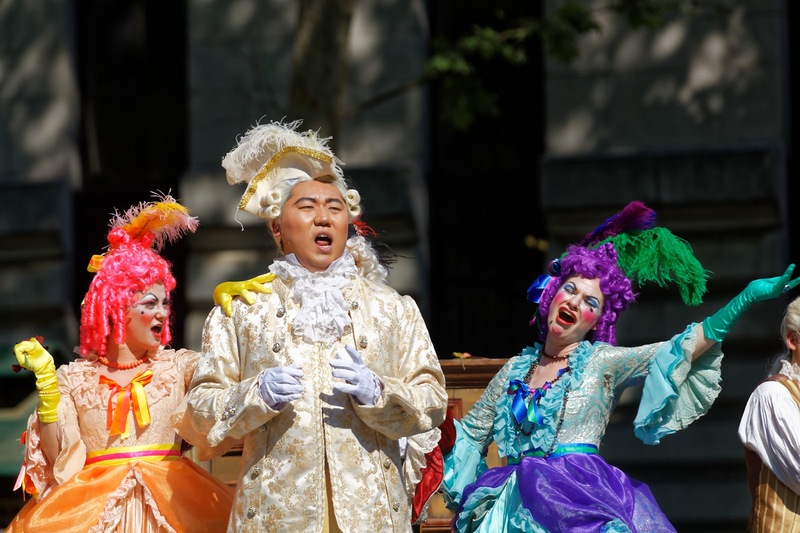 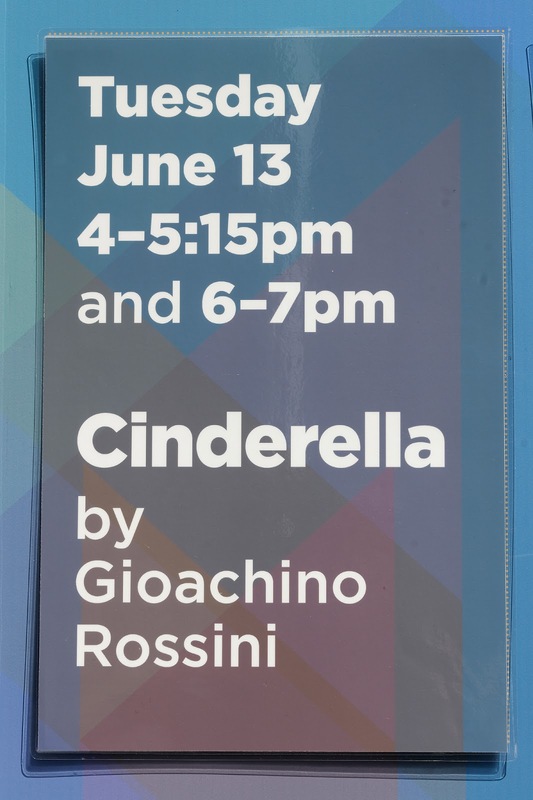 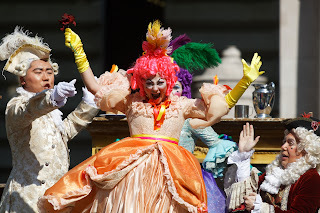 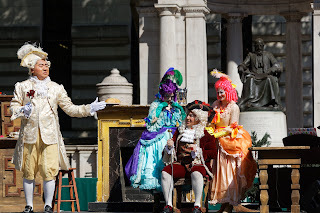 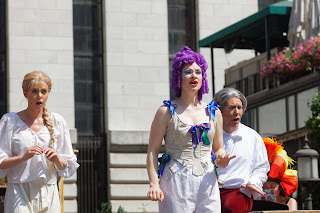 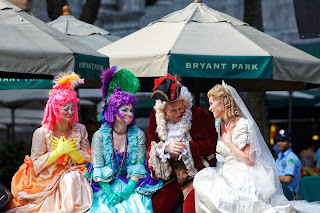 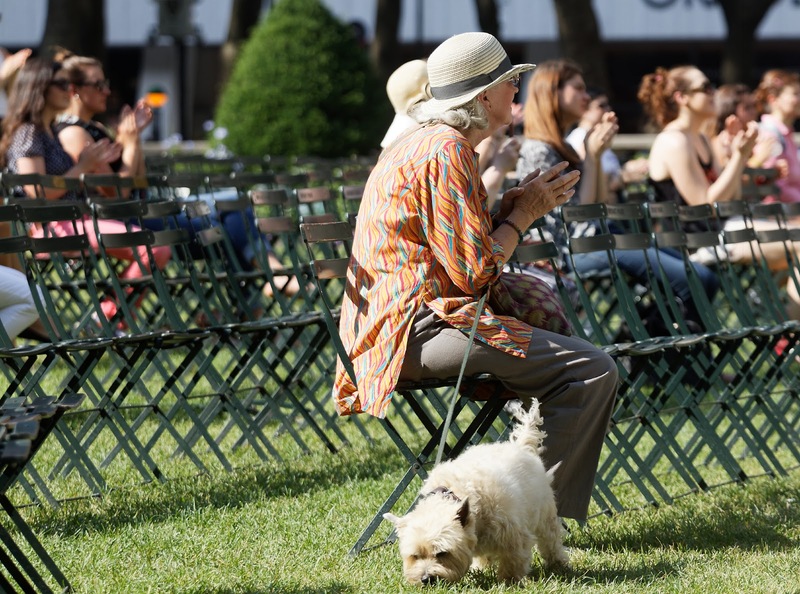 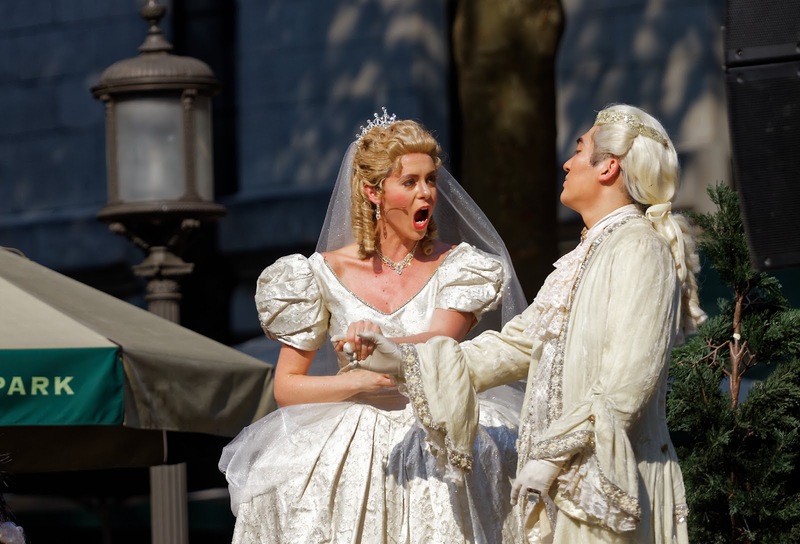 In the midst of the hustle and fast pace of midtown Manhattan, we came to the oasis of lovely and lush scenery provided by Bryant Park, for the New York City Opera's performance of "Cinderella" by Gioachino Rossini. The outdoor presentation was simply beautiful! 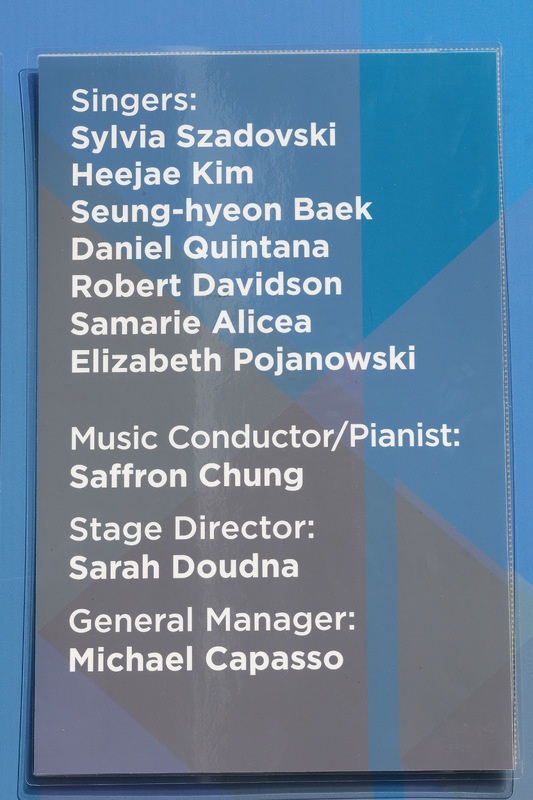 Much credit goes to the singers, staff, and the audience for enduring a sweltering heat index over 100 degrees. 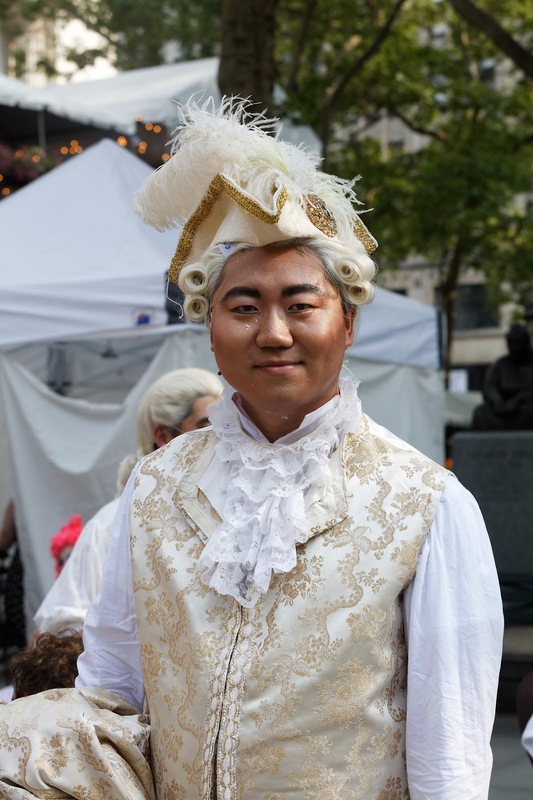 Upon the opera's end, we joined in a well-deserved round of applause to the artists, who, in full costume and make-up, managed a flawless delivery. 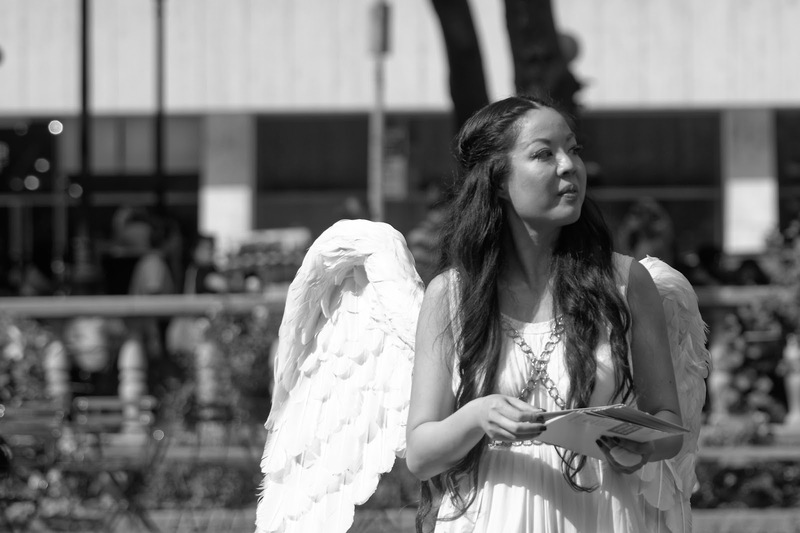 Below are a few images captured from the afternoon event.